Microsoft has been releasing tablets for the longest time. They haven't released a small phone is a long time. 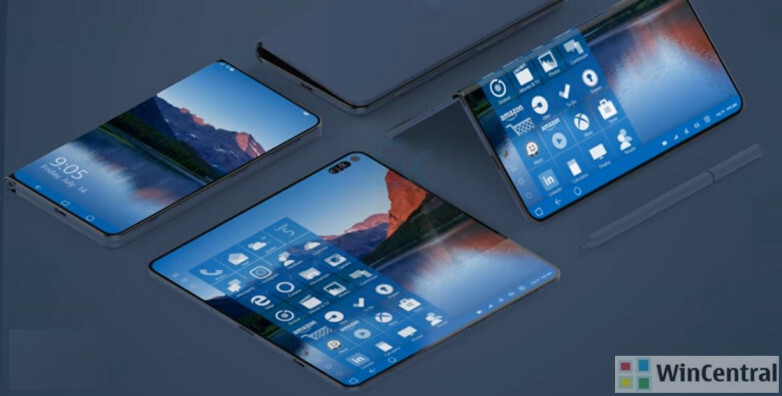 Recently there have been rumors of a new phone being developed by Microsoft. The phone looks like a portable, foldable PC. It is being called the Andromeda. Below you will find everything about Andromeda. This will be the next big thing from Microsoft. There is little information on how much this new device will cost. There is also no release date. Rumors suggested that it would have been launched in October alongside the Windows 10 update. So far Microsoft have launched the Surface Go. There is a report claiming the phone has been put on hold for an indefinite time. Microsoft has shuffled its internal team so at yo focus on improving their artificial intelligence and cloud computing departments. This new teams will work on building their services focusing on these two aspects. Due to this reshuffling the Andromeda project has been pulled off. This device didn't have any time frame and it also didn't have a target audience. There is no apps that can currently support this new idea. App developers would have to build new apps so that they can support the uniqueness of this new phone. Some reports claimed the executives in Microsoft wanted to change everything about the hardware and software department. There was a Microsoft presentation where this device was last mentioned. This shows us that there is some hope that this phone might be released. The gadget might still be in development and when everything is set and done it will be released to the public. Before reports of this project being on hold there was a report from an unnamed source that says this phone can transform into 5 forms. It can be closed, conclave, full, convex or flat. For the closed form the two screens will face each other and look like a closed book. There is a 360 degree hinge that can make this phone form different shapes. The concave form will look like a Laptop while the Convex form will appear like a tent. In full mode the back of the screens will come together with its touch screens facing outwards. In this full mode there will be telephony features. Andromeda wasn't really designed to be a smartphone. It was set to change the mobile landscape and introduce something new just like how Apple introduced IPhone. Some reports circulating claim this new phone would be pocket focused and would have a versatile nature. It would somehow be a smartphone and a computer. This same reports said Andromeda would be released in 2018. More rumors suggesting it will be released this year have surfaced. A new report from an unclaimed source says Microsoft is currently conducting tests on unannounced Qualcomm Snapdragon 1000. The new chip is being tested on different devices such as desktop PCs and maybe on its secret Andromeda device. This new Snapdragon is reportedly going to be 35 percent more better than the previous snapdragon. Its performance will be stunning. It will also be 40 percent more power efficient than how Snapdragon 845 was. This new Snapdragon 1000 is being reported that it can support 16GB of RAM and can also support 128GB of ROM. It will only consume 12 watts of power. This is quite lower. Intel's core i5-8250U and Intel Core i7-8550U consume more power. This mega powerful maybe the best chip to be used on Andromeda. This new Qualcomm Snapdragon 1000 will improve in its performance and overall efficiency. This new device from Microsoft resembles a clamshell phone. It opens up into a mini keyboard. It will be larger than Samsung Galaxy Note but won't be larger than the average tablet. It maybe more than a phone. This phone unfolds into a large touch screen. There are no physical buttons. The Andromeda screen is much larger than initially reported. Reports said that it would have a 5.5 inch screen. A new patent from Microsoft revealed that Microsoft was not going to use a 360 degree hinge. It was considering to use a foldable display. 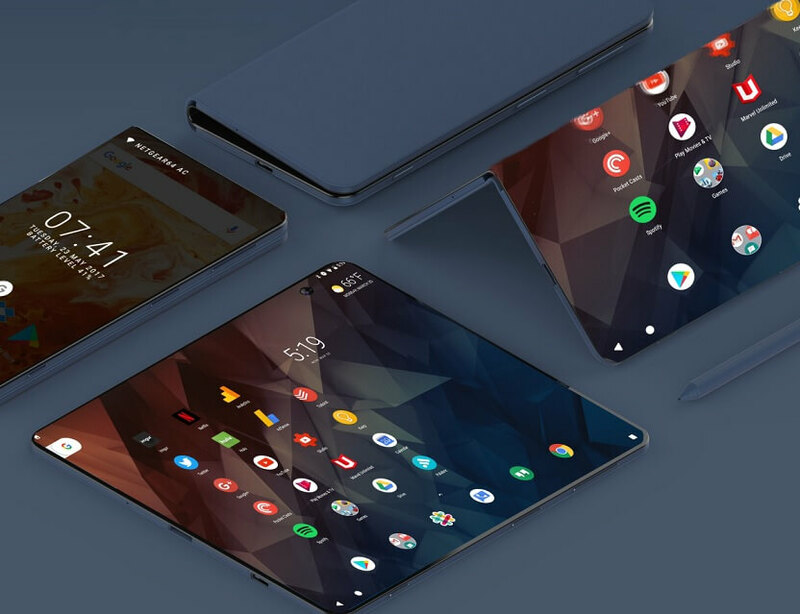 The foldable display will be efficient in folding and unfolding of the device. Sometimes the phone may differ from how the patent looks like. Reports claim there is a new operating system being developed my Microsoft. It is being called the "Core OS" which is perfectly suited for Andromeda. There is a report from Widnows Central that said the project has been cancelled and there is a whole new project being developed by the Surface team. This new phone was initially named "Panos Phone". Panos Panay is leading this development process. Panay was the one was in charge of developing Surface Pro 4 and the Surface Book. Recently Microsoft purchased surfacephone.com. This is a hint that Microsoft might be introducing a new device. When a company purchases a domain name from a different company that means they are trying to avoid any confusion or issues relating to scamming. This ensures that when they release a product under that name there is no issues that will arise. This is a prevention method.